Scientists say they have developed the world’s first vaccine against dengue fever seen to work in large-scale trials.Research in the Lancet journal suggests more than 50% of children who are given the vaccine are protected against the disease. Half the world’s population are at risk of catching the mosquito-borne virus. Experts say though the long-awaited study is promising, vaccines with greater effectiveness are crucial. There are currently no treatments to prevent dengue fever – an illness which affects more than one million people a year. In the largest late-stage trial of a vaccine to date, researchers from five centres across Asia treated 6,000 children aged between two and 14 years old. Some 56% were seen to have protection against the virus at the end of two years. It worked best for children with certain subtypes of the virus and those who had been exposed to it before. And the vaccine had an even greater impact on severe forms of the disease, reducing the number of people needing treatment in hospital and preventing 80% of cases of haemorrhagic fever – a potentially life-threatening complication. Lead author Dr Maria Rosario Capeding, from the Research Institute for Tropical Medicine in the Philippines, told the BBC: “Given that dengue is a major public health problem in most Asian countries the findings have the potential to have a huge impact on public health. 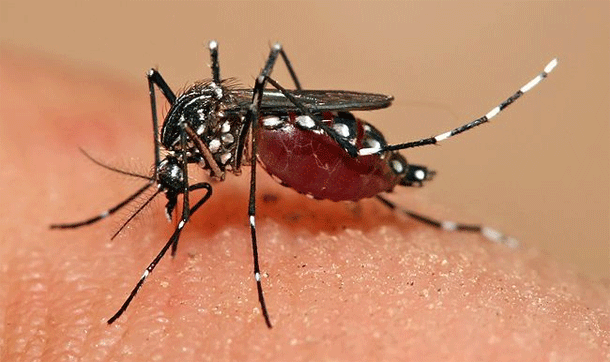 Prof Martin Hibberd of the London School of Hygiene and Topical Medicine who was not involved in the study said: “The biology of dengue is complex and has troubled researchers for many years. “I am very glad they have tackled this, but I am disappointed the vaccine is only 56% effective – much lower than our normal targets. “Nevertheless this is the most significant reduction we have seen to date – the best we have so far. He suggests people who have been given the vaccine should be monitored for at least five years to ensure it remains effective and safe. And further questions need to be addressed, including how much of an impact it will have in other parts of the world. Sanofi-Pasteur, the company funding the research, plans to apply for approval once the results of its second trial across Latin America and the Caribbean have been analysed.